In recent years, “sound design” has become a more commonly used term, relevant to many different creative fields and applications. These include video games, film and television, theater, virtual instrument plugins, art installations and original music to name a few. Due to ever-changing technology, sound design has made its way into a number of practical uses such as mobile devices or tablets and in turn, the process for creating sounds has changed a lot over the years as well. 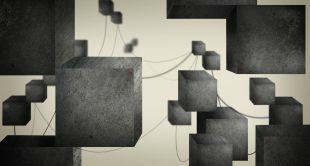 Traditional approaches to sound design often involved recording, manipulating and mixing various audio files to create new sounds that are meant to create a certain mood. One great example of sound design in film is Ben Burtt’s approach to making the ever-recognizable light saber sound in Star Wars. To create this sound, Burtt combined the hum of an old projector with sounds a mic was picking up when he walked near an older vacuum tube television. To create variation to the sound along with movement, he employed the use of a speaker and microphone to create a doppler effect or change in pitch of a wave. Watch the video below to hear him explain his approach. While the roots of sound design lie in these more traditional applications, popular music creation tools like digital audio workstations (DAWS) have become increasingly powerful and accessible allowing more people to experiment with certain aspects of sound design. In addition, the past decade has seen a huge rise in plugins and virtual synthesizer instruments and in turn, more and more musicians and producers incorporate sound design into their craft. These range from more experimental artists like Amon Tobin (Ninja Tune), Richard Devine, Aphex Twin and Brian Eno all the way to mainstream acts like Diplo and Kanye West. When mentioning sound design in music, it can reference some of it’s more traditional meanings and uses like creating a mood but it is most commonly referred to as a means to create sounds that are truly unique to your music. If you are a producer, learning sound design techniques can be a great way to not only expand your sonic fluency or understand sounds you are hearing in the world around you, but also be able to create or record sounds you are imaging for your own music. 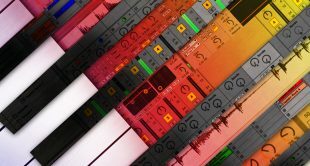 To get started with sound design it is important to understand how to fully manipulate digital audio files and effects in your workstation and different DAWS each have their own unique features and approaches for accomplishing certain sound design tasks. It can also be helpful to understand some basic synthesizer parameters that are found in many virtual synthesizer plugins in your DAW as well as analog hardware synthesizer instruments. As you begin to experiment, you’ll discover a world of possibilities and happy accidents along the way can sometimes result in inspiration for a new part of your song or idea. You’ll also begin to find which synthesis types work best to create certain kinds of sounds and dive into one of the most enjoyable, rewarding parts of the music creation process. To learn more about Sound Design explore these online courses from Creative Live.